Earlier this week, a top 10 Canadian heroes list emerged that failed to include any women or indigenous heroes. After hearing from our audience, CBC Aboriginal was inspired to ask, who are your indigenous heroes? Earlier this week, a top 10 Canadian heroes list emerged and included Pierre Trudeau, Jack Layton and John A. MacDonald. The Top 10 list of Canada's greatest heroes did not include any women and only one person of colour. After hearing from our audience, CBC Aboriginal was inspired to ask, in a decidedly unscientific manner, who are your indigenous heroes? Here is a partial list of the suggestions that flooded in on Facebook and Twitter. 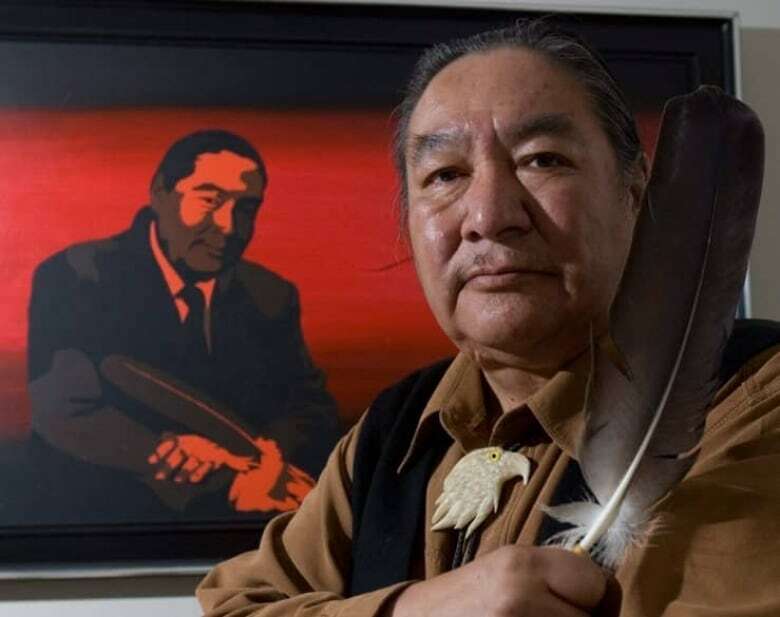 Elijah Harper (Oji-Cree): In 1990, with an eagle feather raised, Manitoba's lone aboriginal MLA voiced his opposition to the Meech Lake Accord -- a constitutional amendment to gain Quebec’s acceptance of the Constitution Act. The accord had been negotiated without the consultation of First Nations and Harper's historic stance brought the accord to a standstill. Former politician and honorary Cree Chief Elijah Harper holds up one of the eagle feathers he famously held during the 1990 debate over the Meech Accord. 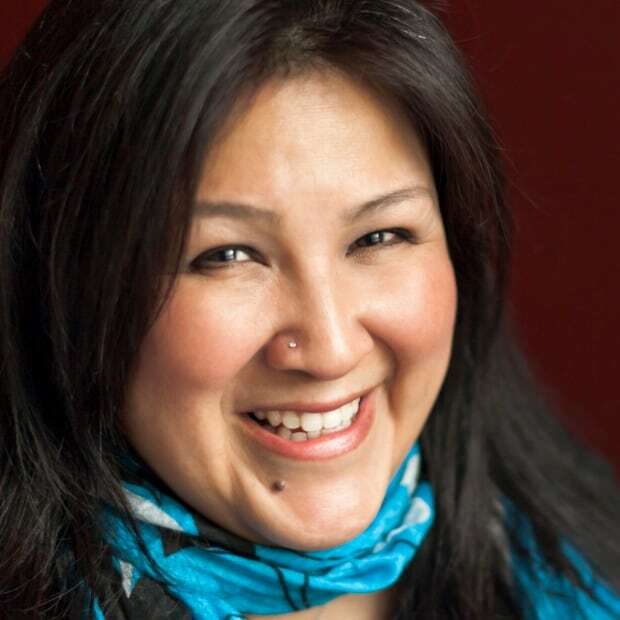 (Tom Hanson/CP) She is a documentary filmmaker whose more than 40 films have chronicled indigenous life in Canada from the 1971 debut Christmas at Moose Factory to her most famous work Kanehsatake: 270 Years of Resistance. Louis Riel (Métis) – The founding father of Manitoba and a leader to the Métis people, Riel sought to preserve the rights and culture of the Métis among the encroachment of European influence across the country and into the west. 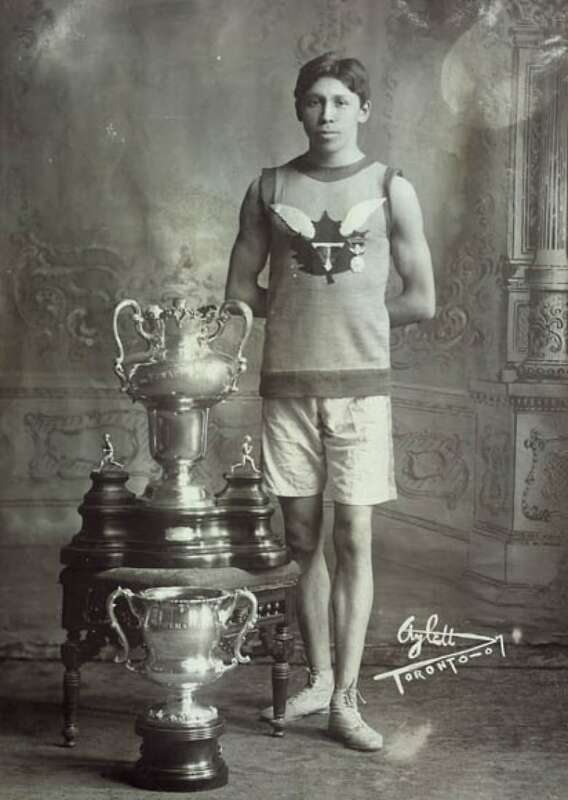 Tom Longboat (Onondaga): He ran the 1907 Boston Marathon 4:59 seconds faster than anyone of the previous winners. Two years later he won the title Professional Champion of the World in another . Longboat's coaches and the press didn’t approve of his training regime and called him “lazy” when he incorporated hard, easy and recovery days – something that is now the norm. Rosemarie Kuptana (Inuit) – A tireless leader of human rights, Kuptana served as the Inuit Broadcasting Corporation president from 1983-1988 where she was instrumental in developing it to express and reflect Inuit culture and society. She was elected to a three-year term as president for the Inuit Tapirisat of Canada in 1991 – the national voice of 35,000 Inuit people. Chief Dan George (Tsleil-Waututh) – He was a poet, actor, and activist. (Picture: March 7, 1961. 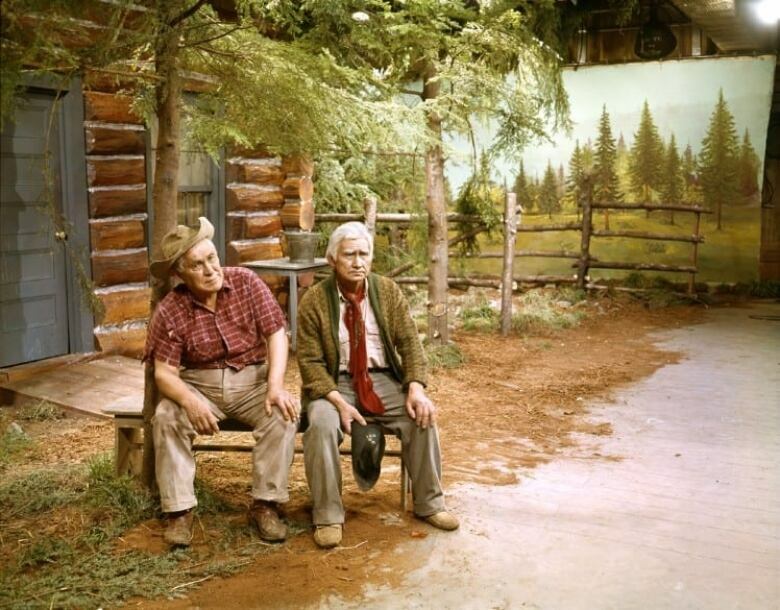 Cariboo Country- Production still with Chief Dan George.) (CBC/Alvin Armstrong)Chief Dan George (Tsleil-Waututh) – He was a poet, actor, and activist. George was the first aboriginal person that people saw on TV and movies, and was nominated for an Academy Award for Little Big Man. Hiawatha (Onodaga) – Born somewhere between the 12th and 13th century, he was central figure in the establishment of the Iroquois Confederacy between the five nations of the Mohawk, Onodaga, Cayuga, Seneca and the Oneida. The Tuscarora joined later to make it what is now known as Six Nations of the Grand River. 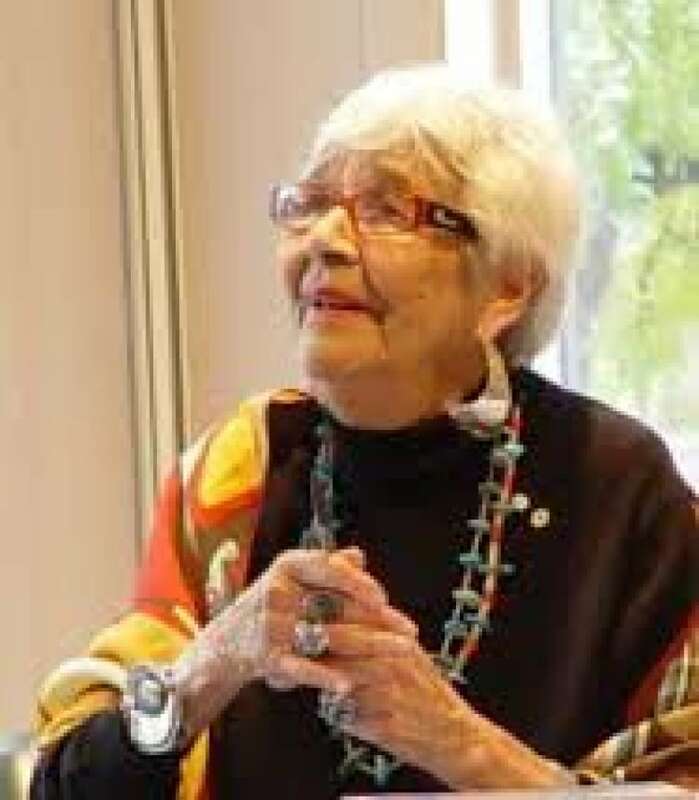 Daphne Odjig is described as the driving force behind the Indian Group of Seven. 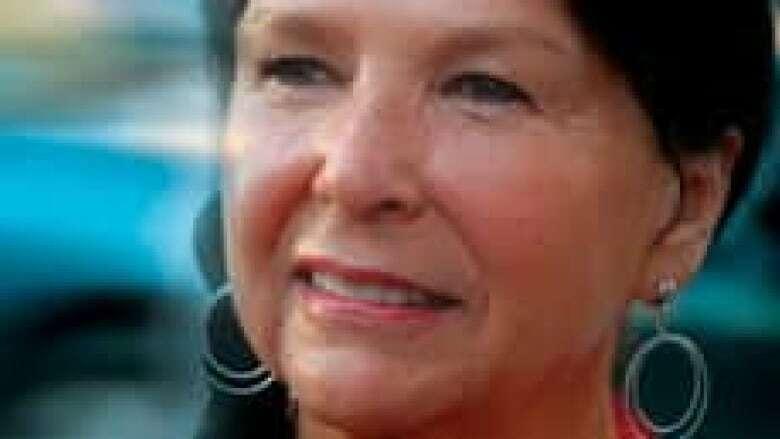 (CBC)Daphne Odjig (Odawa-Potawatomi): She is described as the driving force behind the Indian Group of Seven. Her paintings are in the Woodland style and her work has addressed colonization, women and children and erotica. Harold Cardinal (Cree): He rose to national prominence with the publication of The Unjust Society, in answer to then prime minister Pierre Trudeau's proclamation that Canada was a “just society.” He was the main author of the Red Paper – another satirical response to the government’s White Paper policy on the First Peoples. The Rev. 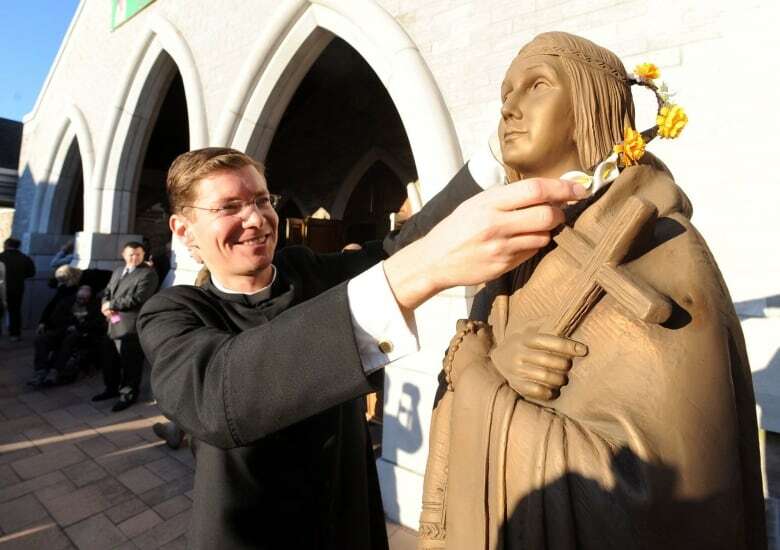 Brian Graebe places flowers on a statue of Saint Kateri Tekakwitha Sunday, Oct. 21, 2012, at Saint Kateri Tekakwitha Roman Catholic Church in Lagrangeville, N.Y. (The Associated Press)Kateri Tekakwitha(Mohawk): In the Roman Catholic religion, Kateri was sainted 332 years after her death. It is said that after her death her smallpox scars healed. Others have also reported healing after praying to her and having soil and bone fragments from her grave placed on or near them. There are many more names that were suggested including Haida artist Bill Reid; children rights’ advocate Cindy Blackstock; Justice Murray Sinclair; singer Buffy Sainte-Marie; Metis leader Gabriel Dumont; and Harry Daniels, who fought for the rights of Metis and non-status Indians. Who are your heroes? Let us know who is on your #IndigenousTopTen in the comments section below or on Facebook and Twitter.